Researchers conclude that combining acupuncture with conventional biomedical post-operative care improves patient outcomes for cases of appendicitis treated with surgical removal of the appendix. 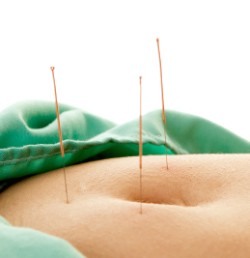 Acupuncture improved surgical recovery rates including a more rapid recovery of intestinal function.As a result, the research team concluded that acupuncture after an appendectomy is an effective modality for improving patient recoveries. Researchers from the Shanxi Hospital of Traditional Chinese Medicine (TCM) randomly divided 60 acute suppurative appendicitis cases equally into an acupuncture group and a control group. Suppurative appendicitis is a type of acute appendicitis with purulent exudate that is filled with bacteria and inflammation related fluids. This type of appendicitis is often severe, painful, late-stage and life threatening. The acupuncture group receiving the same care as the control group but with the addition of post-operative acupuncture treatments. The acupuncture group significantly outperformed the control group regarding the recovery of intestinal function. An appendectomy, surgical removal of the appendix, is often performed as an emergency procedure to prevent sepsis and morbidity. In the absence of access to surgical facilities, intravenous antibiotics are often used to prevent sepsis. Many cases treated with perioperatively with intravenous antibiotics resolve completely. Other cases require surgery. 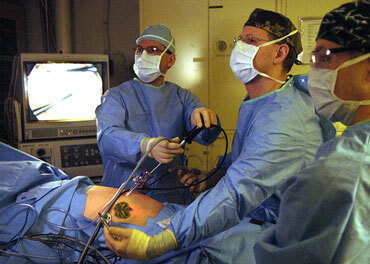 This is often performed laparoscopically, a minimally invasive surgical procedure when compared with an open operation. The researchers investigated the effects of acupuncture on the recovery state of suppurative appendicitis patients who received laparoscopic appendectomies. Anesthesia combined with surgical trauma for the procedure requires a recovery period. A better and more rapid recovery period contributes to improved patient outcomes. After an appendectomy, the intestines are in a protective numb state due to the impact of the operation and anesthesia, causing the slowing down or even stopping of intestinal movement. Therefore, recovering the intestinal function as quickly as possible is critical in reducing the occurrence of intestinal adhesions and obstructions. The primary acupuncture points used in the study were Zhongwuan (CV12), Tianshu (ST25) and Shangjuxu (ST37). In Traditional Chinese Medicine (TCM) theory, these points have special functions. CV12 is the front Mu point of the stomach, the influential point for all yang organs, regulates stomach qi and transforms rebellious qi. As a result, this point is indicated for the treatment of stomach and intestinal disorders. ST25 is the front Mu point of the Large Intestine, regulates the function of the intestines, regulates qi and eliminates stagnation. It is often used for the treatment of abdominal disorders including obstructions, diarrhea, pain, distention and edema. ST25 is also widely used in the treatment of menstrual disorders. ST37 is the lower He Sea of the large intestine and is a Sea of Blood point. ST37 regulates the intestines and stomach, clears damp-heat and eliminates accumulations. It is widely used in the treatment of abdominal disorders. After the appendectomy, the control group received routine biochemical medications while the treated group received acupuncture plus routine biochemical medications. Acupuncture was applied on the first day following operation. The primary acupoints were Zusanli (ST36), CV12, ST37 and ST25. Secondary acupoints were chosen according to differential diagnoses of individual patients: Taichong (LV3) for hyperactivity of Liver-yang, Fenglong (ST40) for damp-heat retention in the Spleen and Neiguan (PC6) for nausea and vomiting. Once the deqi sensation was achieved with manual acupuncture, electroacupuncture was applied using a continuous wave at 6-9V for 30 minutes. Acupuncture was applied once daily for three consecutive days. After the treatment, the researchers used standard measurements to determine intestinal motility and restoration of function. Acupuncture significantly improved the recovery rates of the first flatulence, borborygmus and defecation. Based on these results, the researchers conclude that timely acupuncture after an appendectomy speeds up the recovery of intestinal function and thus the recovery of the patient. Li, Pengfei, Junhua Ren, and Yonghong Dong. “Clinical observation of acupuncture on recovery of intestinal function after acute suppurative appendicitis.” Clinical Journal of Chinese Medicine 4 (2014): 59-60.